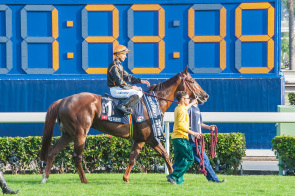 Moore Bloodstock is a localized horse trading company that is based in Hong Kong. We strive to offer the complete service to our clients by adopting a professional and dedicated approach to the selection process. Our clients form an integral part of Moore Bloodstock and we work endlessly to develop a long standing relationship built around trust and success. We understand that every client has a unique set of buying requirements whether it is purely for investment purposes or if they are just starting in the sport and we will cater to all our clients at a similar high level. George attends the majority of Yearling sales in Australia, Europe and New Zealand in addition to visiting studs and breeding farms throughout the year before the horses reach the sale rings. With our developed network throughout the world we are able to maximize your chances of selecting a good horse well before the competition. By talking to breeders before the sales we can also receive more information than our competitors leading to sounder and better performing stock. Before the sale we also spend countless hours researching pedigrees so that we can better target the right horse that fits within the client’s budget range. We understand that the capital investment of our clients can be quite large and therefore we like to offer management services for their horses. After a horse has been purchased each client will be assigned a manager that will provide detailed bimonthly reports, videos and photos. In addition, we understand that some Yearlings have to be qualified for exportation as Private Purchases to Hong Kong and we will assign a leading trainer and racing manager to organize all your horse’s racing needs. We pride ourselves in holding the best track record for selecting tried racehorses from all over the world. The Moore Racing stable has been the leading stakes stable for the past 8 years and this can be attributed to our careful selection and research of horses in Europe and Australia. Over the years we have developed great working relationships with international agents, trainers and breeders which allows us to receive information about potential sales well before the competition. We also make countless trips overseas to race meetings in order to source horses which is at no extra cost to the clients. Every year we research the suitability of a large number of broodmares, yearlings and tried horses for clients. If needed we can also travel internationally to perform a physical inspection of the horse in addition to assign the horse a leading vet to look over their x-rays. We perform thorough research on all pedigree aspects of your horse so that you can increase your chances of buying a horse suitable to the strenuous Hong Kong training environment. The Moore racing stable has been in action for more than 40 years which has allowed us to develop an immense understanding of pedigrees suitable to Hong Kong.